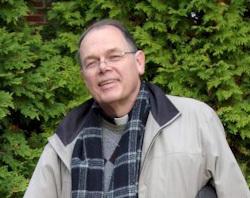 In 2009, our beloved pastor, Father Edward Hinds, suffered a tragic death. The St. Patrick's Parish created a 5k in his loving memory. Today, the event is a fundraiser for St. Patrick Parish, St. Patrick School, and organizations in the Chatham Community. Every year we remember Father Ed because he is gone but not forgotten.